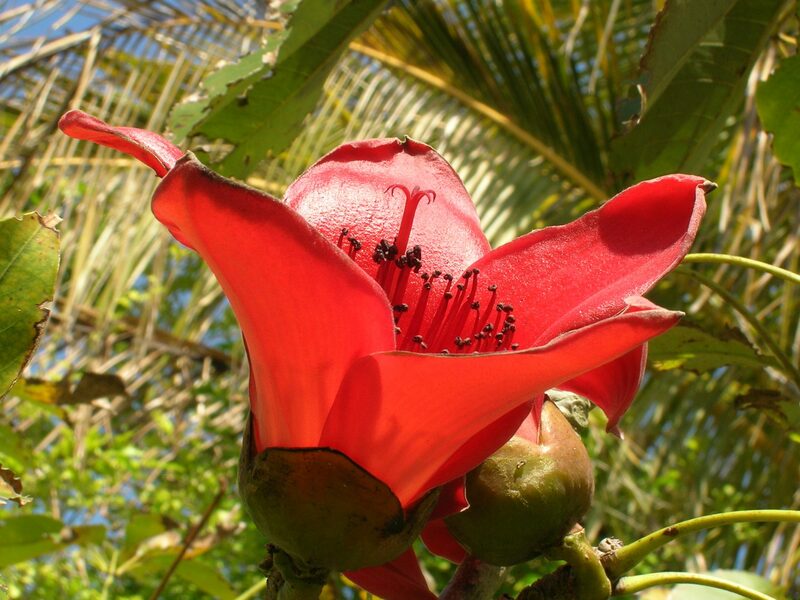 Red Silk Cotton Tree (Bombax ceiba) - Richard Lyons Nursery, Inc. 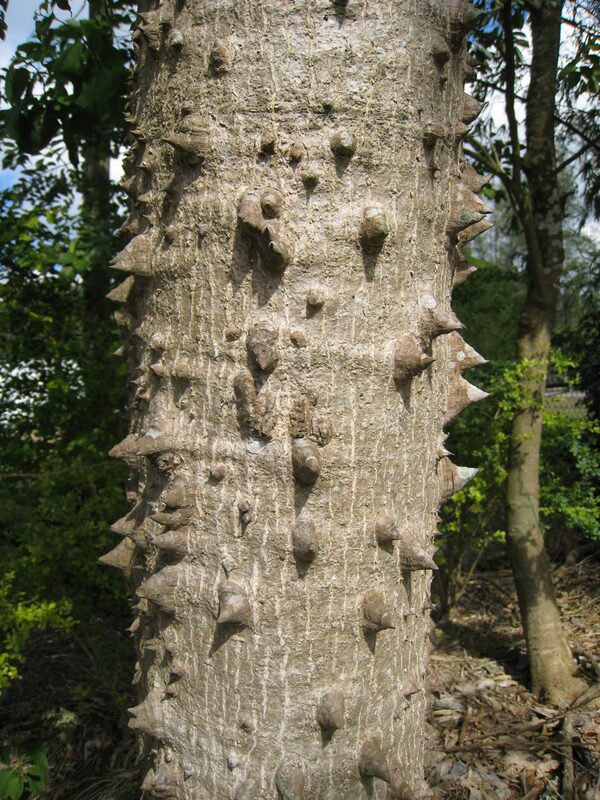 This tree has a straight trunk armed with conical spines, especially when young, and much more sparse with age. 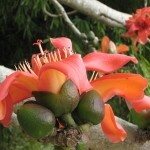 It’s a massive tree, attaining a height of 80′ tall and a crown spread of 50′. 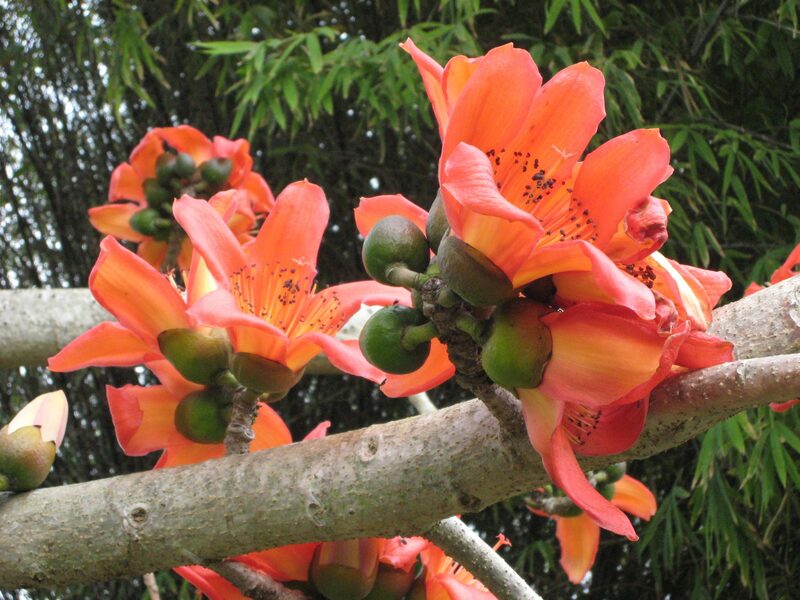 This tree produces large 6-7″ red or orange cupped flowers (depending on the cultivar), which appear in January-February before any new foliage begins to leaf out. 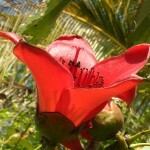 Each flower lasts 5-7 days and the tree blooms for approximately 1 month. 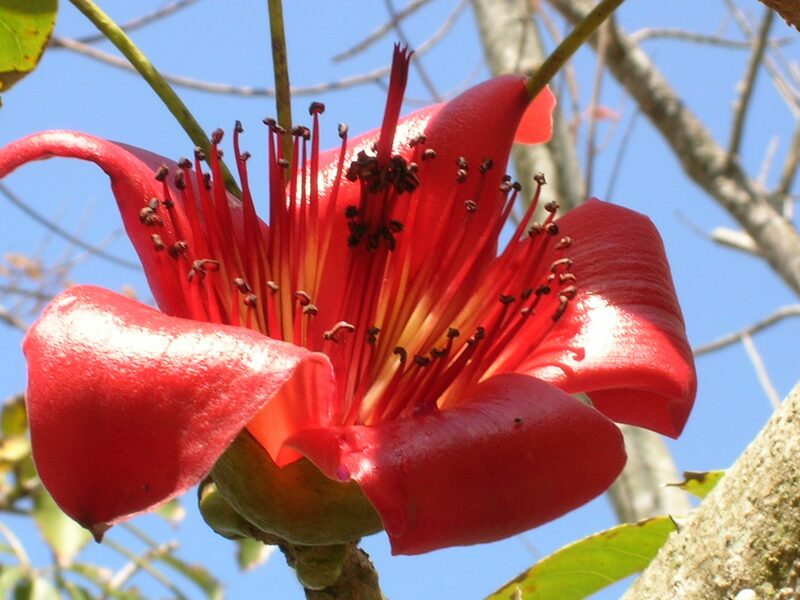 After flowering, new foliage appears in March-April, and large 6″ woody fruit capsules begin forming. 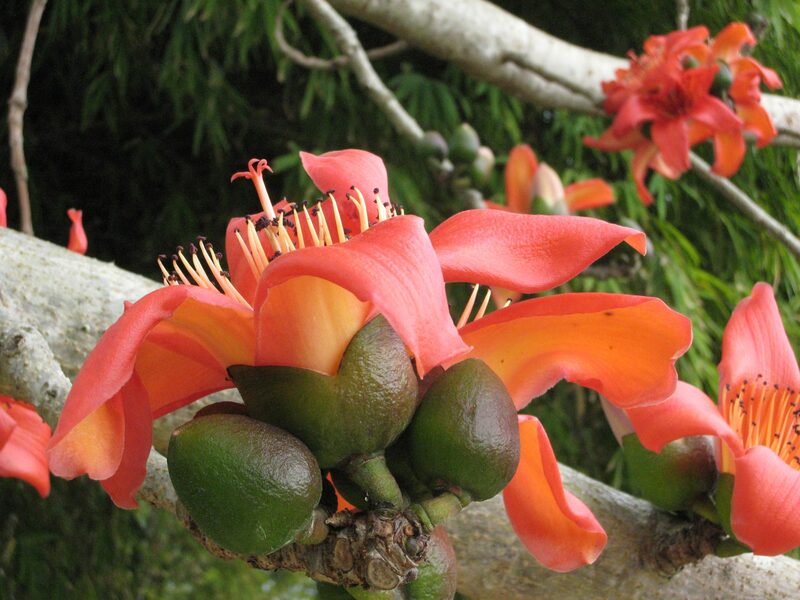 These capsules are filled with small brown seeds embedded in silky hairs. 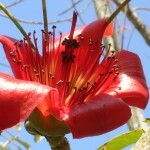 The capsules split open in April and May and the seeds float down from the tree attached to the silky cotton and are carried by the wind great distances. 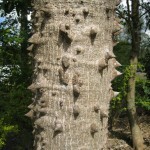 Bombax ceiba is native to southeast Asia and northern Australia. It is widely cultivated in Thailand and Myanmar for the dried flower cones which are an essential ingredient of the Nam ngiao spicy noodle soup, as well as Kaeng Khae curry. 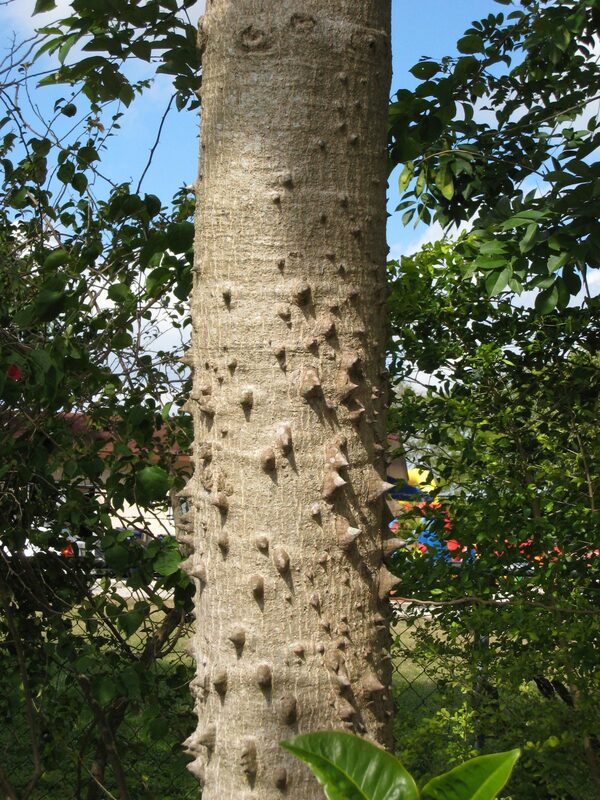 The tree was first introduced into the United States in 1912, by Royal Palm Nurseries, and is not uncommon in south Florida landscapes. 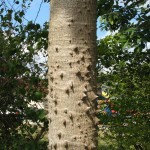 It is also often seen in the Naples, Fort Myers, and Sarasota landscape, and occassionally as far north as the Orlando area. 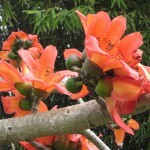 Richard Lyons’ Nursery has both the orange flowering variety as well as the red flowering variety for sale in 15gal. pots 10-12′ tall.